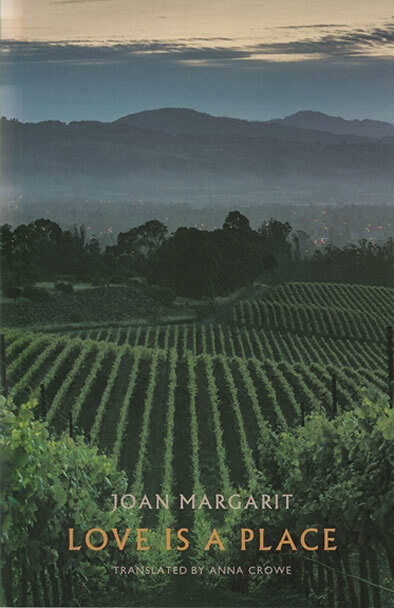 David Cooke finds Joan Margarit to be a poet of authentic experience who does not rely on tricks or strain after effect. as we came home from the fields at the end of the day. all around, keeping us company, are words. she heard people fighting in the streets. and my father, a soldier in a detention centre. Significant, also, is the fact that Margarit is not a ‘career poet’, but was active as an architect for all of his professional life, a fact that has informed poems such as ‘Visits to Building Works’ or ‘Babel’: ‘I dreamed that I had to make the calculations / for a building of a thousand floors’ It is, perhaps, the attention to detail and the scientific discipline that is required of an architect that has shaped Margarit’s humane and unpretentious approach to the art and craft of poetry. In the eloquent prologue that he wrote for Tugs in Fog, he speaks of what poetry means to him and what he has tried to achieve in writing it. They are words well worth the consideration of any aspiring poet. For Margarit, poetry is unashamedly subjective and should arise from deeply felt, authentic experience. It is not about tricks or straining after effect. Early on, he quotes from Diderot: ‘Mediocrity is characterized by a taste for the extraordinary.’ For Margarit, as for Wordsworth, ‘poetry takes its origin from emotion recollected in tranquility.’ In fact, he seems to feel that the poet is almost forced to memorialize his past experience, whether he wishes to or not, that ‘forgetfulness’ is ‘a badly closed door’. it is not a time for arriving, but for going away. Here the poetry is a question of grandiloquence and measured cadences, its musicality enhanced by alliteration and vocalic harmony. It’s a poetry based on the truth and simplicity that we often seem to have abandoned in our quest for novelty and far-fetched imagery. Referring again to Margarit’s prologue in Tugs in Fog, the reader will note his insistence that ‘poetry is not a question of content but of intensity.’ While one may accept that there is some truth in this statement, the content is nonetheless important in Margarit’s poetry and focuses on what is most important to us all: mortality, suffering, isolation, and the hard-won moments of love and peace that are achieved against that backdrop. It should be noted also that if Margarit’s poetry works so well in English, that may also owe much to his affinity with certain English poets, most notably, Hardy and Larkin. The child returns and takes him by the hand. until they are a dot in the sky. Birds of passage. Ferocious summer floods the whole space. a brutal longing is dazzling me. It endures beyond everything: from there we come. And it’s the place where life remains. for the big bonfires of the solstices. which is the same as in superstition. Poetry is the first logic. of the sun or sky at night is new.